From beaches to ancient cities, a range of interesting day trips from Bangkok are located within a hour or two of the city. These 10 day trip destinations offer a nice break from the traffic and concrete of Bangkok and can all be reached within three hours by road. 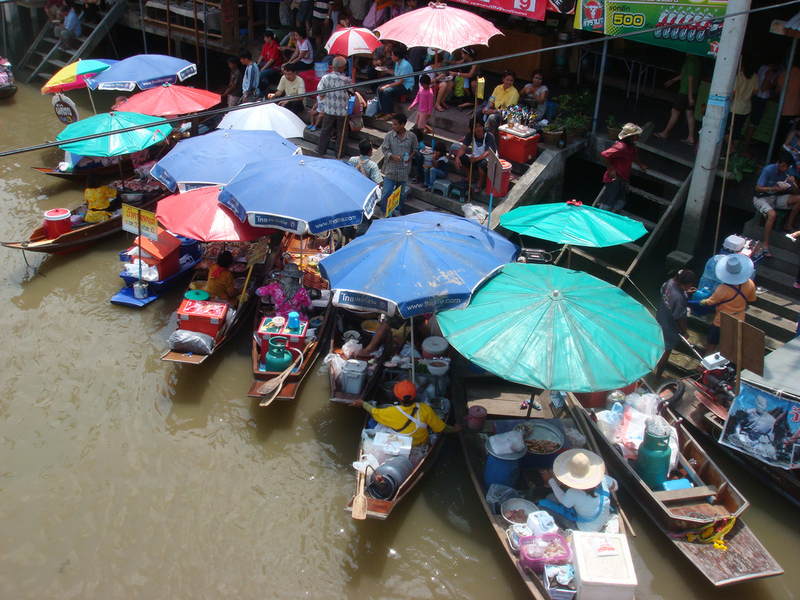 One of the most popular floating markets close to Bangkok, Amphawa is far less of a tourist attraction than Damnoen Saduak. As well as the large floating market, attractions like Rama II Memorial Park make Amphawa an interesting day trip destination. Amphawa is about one hour from Bangkok by road. Transportation via minivan is available from Victory Monument. Note that Amphawa Floating Market is only open on weekends. At the peak of the Ayutthaya Kingdom in 1700, the now small city of Ayutthaya was one of the world’s largest cities. Today, Ayutthaya is home to a massive collection of temples that make up the Ayutthaya Historical Park, a UNESCO World Heritage Site. 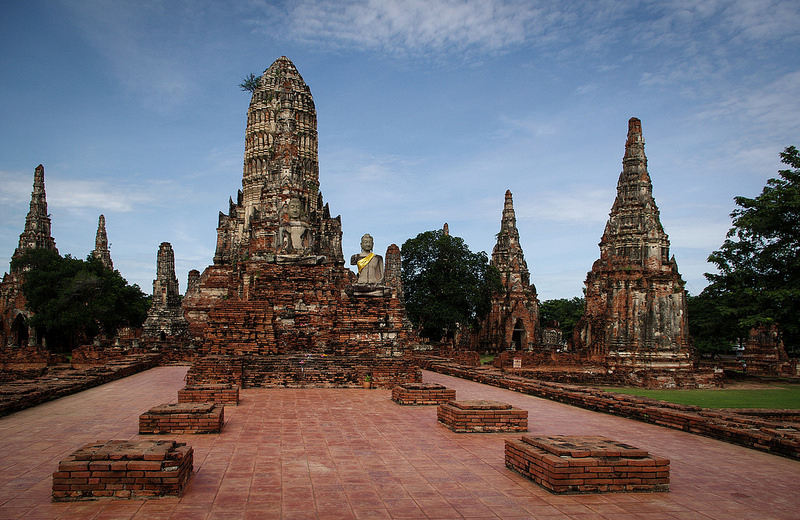 Located approximately 40 miles north of Bangkok, Ayutthaya is one of the most popular day trips from Bangkok. Minivan transport is available from Victory Monument. 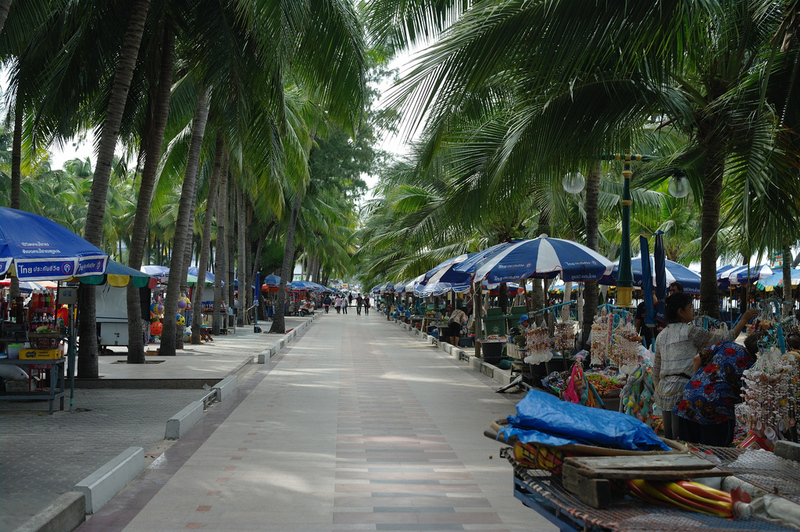 The closest beach town to Bangkok, Bang Saen is one of Bangkok’s easiest destinations for day trips. Although it’s not as spectacular as the beaches further south, Bang Saen offers a good mix of beachside restaurants and warm weather. 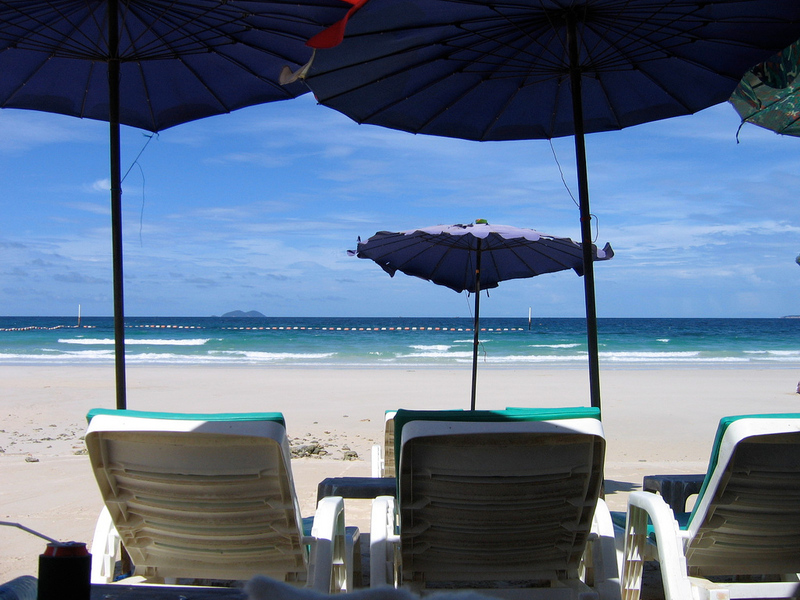 Bang Saen Beach is approximately 75 minutes from Bangkok by road. Minivans depart from the Victory Monument area, with stations beside Centre One and Century: The Movie Plaza. Popular with Thais seeking a weekend break, Cha Am is a charming beach town located about 2½ hours from Bangkok by road. Cha Am’s long, sandy beach is the town’s biggest attraction, along with Mrigadayavan Palace and the nearby Nayang Bat Cave. Minivans depart from Victory Monument to Cha Am several times daily. Private transport via taxi is also a popular way to reach Cha Am, with a one-way trip from Bangkok priced at 2000 baht. Located approximately three hours from Bangkok by road, Hua Hin is a popular beach resort town that’s home to a selection of plush five-star hotels. 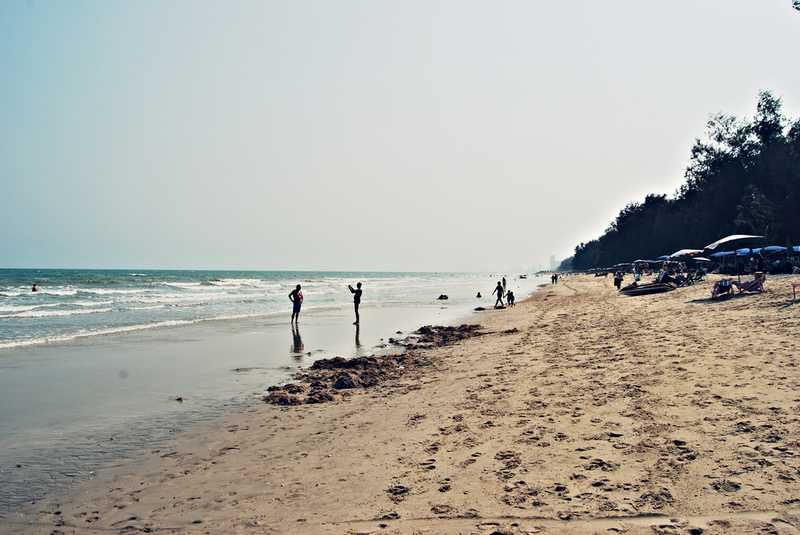 More quiet and peaceful than most beach destinations around Bangkok, Hua Hin attracts hi-so Thais, expats and tourists. Hua Hin is a popular daytrip or weekend destination for families thanks to its peaceful beach and large selection of fun things to do. 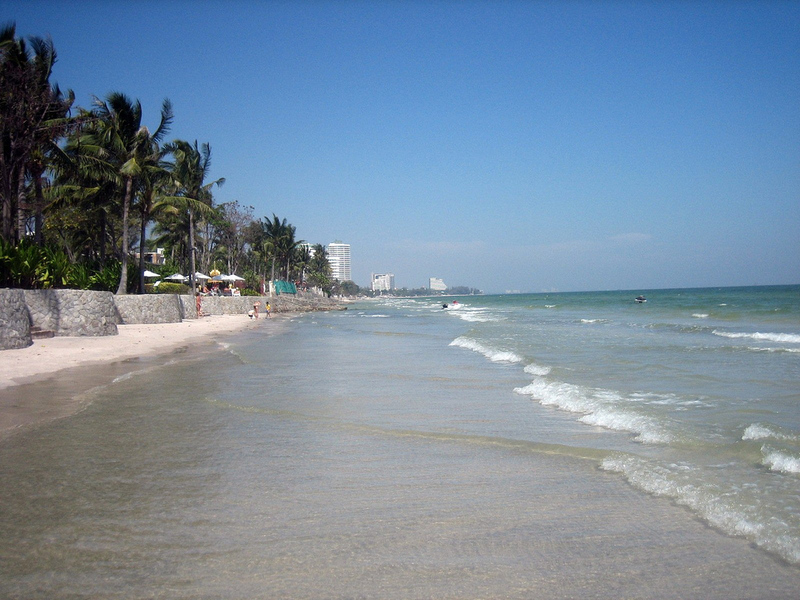 Hua Hin is home to several luxurious beachfront hotels, and the InterContinental Resort is one of the best in the city. Beachfront dining and spacious rooms with excellent views over the Gulf of Thailand make this five-star hotel a luxurious place to stay. Located about 15 minutes from Hua Hin by taxi, YaiYa Resort offers a beachfront location and a selection of spacious, comfortable rooms. This four-star resort is a great choice for romantic holidays and weekend breaks from Bangkok. Located in the centre of Hua Hin, Gingfa Guest House offers a good selection of affordable and comfortable rooms. Although the rooms are simplistic, the location and pricing makes it one of Hua Hin’s best budget deals. Best known for the Bridge Over the River Kwai, Kanchanaburi has a huge amount to offer for people seeking a break from Bangkok’s noise and activity level. This relaxing town is located close to several of Central Thailand’s most impressive national parks. The Hellfire Pass Museum, which is a short drive from Kanchanaburi, honours the tens of thousands of soldiers and civilians that died building the Death Railway during World War II. Kanchanaburi is located three hours from Bangkok by road. Transportation is available via minivan from Victory Monument or public bus from Sai Tai Taling Chan bus station. A daily train from Bangkok’s Thonburi Train Station to Kanchanaburi is also available. 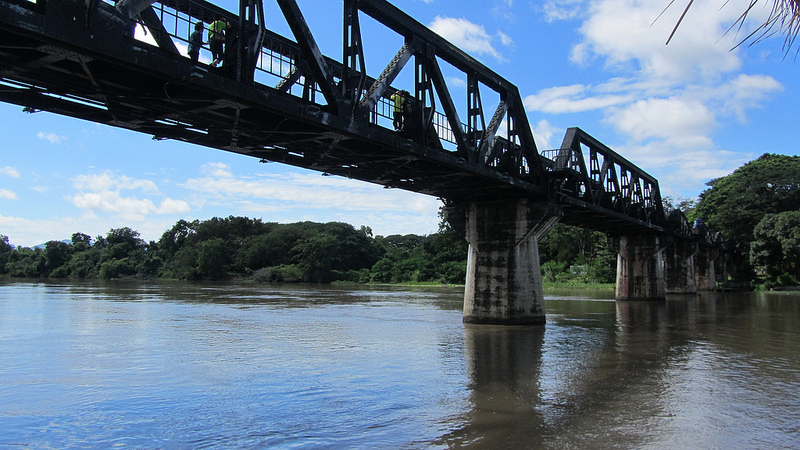 Located beside the River Kwai, U Inchantree Kanchanaburi Hotel offers fantastic views over the river and the city’s historical World War II Bridge. Rooms are cosy but comfortable, with a riverside swimming pool that’s perfect for relaxing and enjoying the quiet atmosphere. Kanvela Resort is a comfortable three-star hotel located close to the River Kwai. Double and twin rooms are tastefully decorated with modern furniture. The resort’s outdoor swimming pool is surrounded by a beautiful garden. Located close to Kanchanaburi’s most popular restaurants and bars, Tara Bed and Breakfast is an affordable accommodation option with cosy, comfortable rooms and a swimming pool for guests. Use the search box below to find out departure times and prices on your selected travel dates to Kanchanaburi. Although Koh Kret is technically an ‘island’, it has little in common with Thailands other island destinations. This artificial island in the Chao Phraya River is famous for its pottery, temples and Mon food. 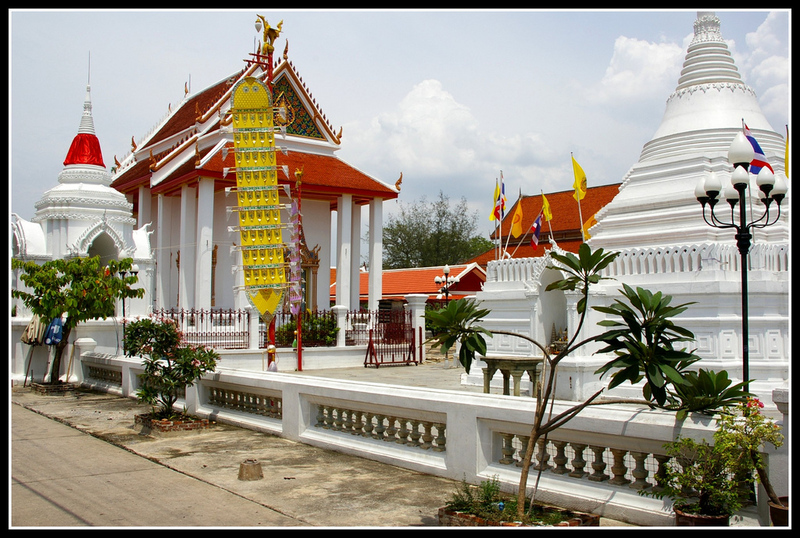 Koh Kret is an easy day trip from from Bangkok via the Chao Phraya Express Boat or by private taxi and ferry. Koh Larn is a small island located off the coast of Pattaya, to the east of Bangkok. Koh Larn’s nice beaches and clear water make it one of the most popular weekend getaway destinations for people staying in Bangkok or Chonburi. The easiest way to get to Koh Larn is to take a taxi or bus from Bangkok to Pattaya, then take the ferry from Bali Hai Pier. The trip from Pattaya to Koh Larn takes about one hour. Koh Samet is one of the closest islands to Bangkok, offering a mix of great beaches and fun nightlife. Popular with Bangkok residents seeking fresh air on weekends, Koh Samet fills up from Friday evening until Sunday, making it best visited during the week. Buses leave from Bangkok’s Ekkamai Bus Station to Ban Phe, where you can catch the ferry to Koh Samet or book a private speedboat. Koh Samet is a national park and visitors will be charged 200 baht to enter upon arriving on the island. Use the search box below to find out departure times and prices on your selected travel dates to Koh Samet. Although Pattaya is infamous for its seedy nightlife, the city is also popular with families due to its growing selection of luxury hotels, Cartoon Network water park and golf courses. Pattaya is easy to get to from Bangkok by public bus from Ekkamai Bus Station or private taxi. 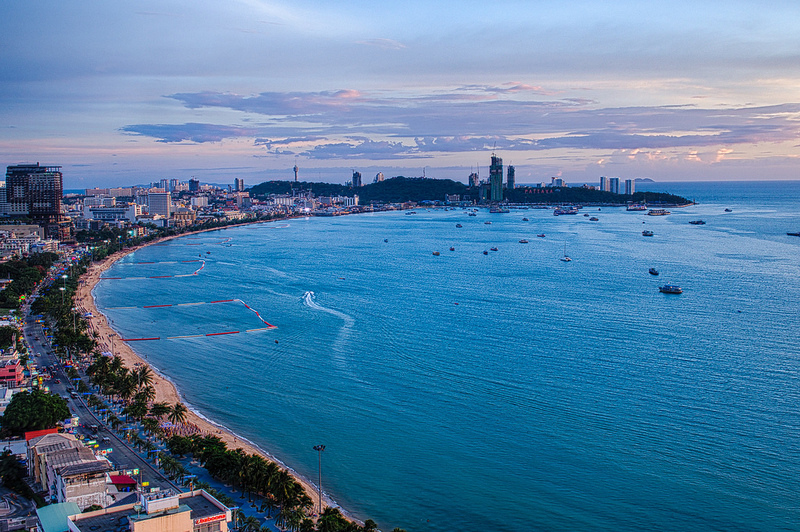 Located on top of Central Plaza Pattaya, the Hilton Hotel Pattaya offers excellent views of the Gulf of Thailand. Rooms are modern and spacious, with the hotel’s pool and great restaurants offering a nice escape from Pattaya’s busy streets below. Siam @ Siam Design Hotel is a modern four-star hotel on Pattaya Beach. The spacious and stylishly decorated rooms offer comfort and a convenient location, while the rooftop pool has great views over Pattaya Beach. Located close to the centre of Pattaya, Admire House is a low-cost guesthouse with a good selection of simple and affordable double rooms. Despite being centrally located, the hotel is quieter than many other options in Central Pattaya. Use the search box below to find out departure times and prices on your selected travel dates to Pattaya.